In just a few days from now (23rd March), the 12th edition of the Indian Premier League (IPL) will kick start with defending champions MS Dhoni’s Chennai Super Kings (CSK) taking on Virat Kohli’s Royal Challenge Bangalore (RCB) at the MA Chidambaram Stadium, Chennai. With high-quality players from across the globe playing the league – Chris Gayle, AB De Villiers, Brendon McCullum, Steve Smith, Lasith Malinga, Kane Williamson, Rashid Khan and many more – the event, without a doubt, once again, promises to be an extravagant tournament for cricket fans from around the globe. Over the years, explosive players with their aggressive batting style have demolished the opponents and have gone on to enter the record books. Like every year, the IPL fans will witness some unimaginable mind-boggling innings that will be engraved in their memories for many years to come. Not only that, such blistering innings will keep the statisticians and the record-keepers on their toes, they will have few records shattering down without a doubt. Having said that, there are few All-Time IPL batting records in the books that dare I say are quite impossible to break this season without a magical intervention from the heaven itself. 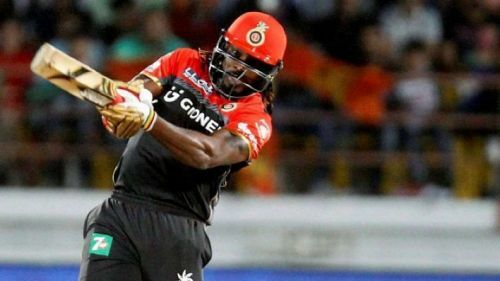 Anyone following the game of cricket will not be surprised by the fact that the fondly pronounced Universal Boss, Chris Gayle owns the record of most sixes in the IPL (292) followed by AB De Villiers and MS Dhoni (186), Suresh Raina (185) and Rohit Sharma (184) – a massive margin of over 100 sixes! Unsurprisingly, because of the very fact that he plays in almost every T20 league around the world, he also holds the records for smashing the most sixes (907) in T20 games across all world. Keeping in mind that the West Indian batsman had a poor show in the last IPL outing (2018), the hard-hitter will look to cover up for the lost opportunity this season and considering his recent form, the difference is only expected to increase even further, making it almost next to impossible for the new generation to achieve it for many more coming years.